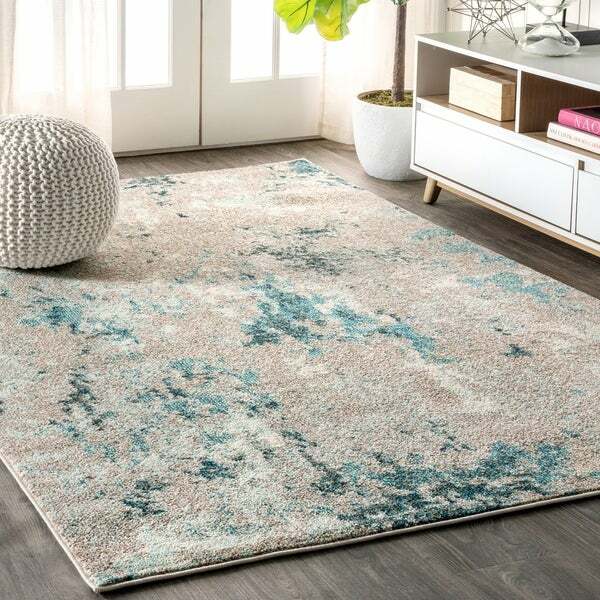 JONATHAN Y Modern Persian Boho Vintage Trellis Blue/Multi 5 ft. x 8 ft. Area Rug - 5'3" x 7'7"
JONATHAN Y Contemporary POP Modern Abstract Vintage Cream/Orange 5 ft. x 8 ft. Area Rug - 5'3" x 7'7"
Dabs of aqua, turquoise, cream, and gray combine to create a painterly rug well suited for a serene space. Built for durability, power loomed from polypropylene to withstand years of use in high traffic areas, it adds durability to your tranquil retreat. Created by artisans in Turkey, this contemporary style is a modern classic. Dimensions 91.0 In. X 63.0 In. X 0.35 In. JONATHAN Y Contemporary POP Modern Abstract Vintage Waterfall Blue/Cream 5 ft. x 8 ft. Area Rug - 5'3" x 7'7"
JONATHAN Y Contemporary POP Modern Abstract Brushstroke Cream/Blue 5 ft. x 8 ft. Area Rug - 5'3" x 7'7"
JONATHAN Y Contemporary POP Modern Abstract Multi/Yellow 5 ft. x 8 ft. Area Rug - 5'3" x 7'7"
JONATHAN Y Contemporary POP Modern Abstract Vintage Waterfall Blue/Gray 5 ft. x 8 ft. Area Rug - 5'3" x 7'7"